Grown-up garden chores are kid's play with this scaled-down replica of the real thing. The Radio Flyer Wheelbarrow has a sturdy steel body with smooth-finished hardwood handles. 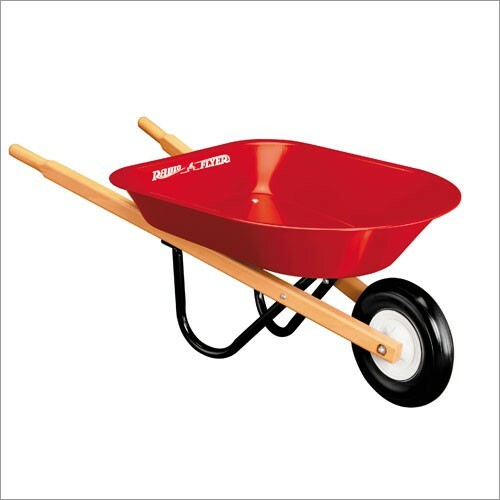 Features include a seamless steel tray with no-scratch edges and steel undercarriage, durable molded wheel and real wood wheelbarrow handles. Body measures 20" x 16" x 4".